The OPD 3rd edition (The Oxford Picture Dictionary) has arrived and with it, six sets of Open Educational Resources (aka Free!) that I can post here. I hope you find them very useful. 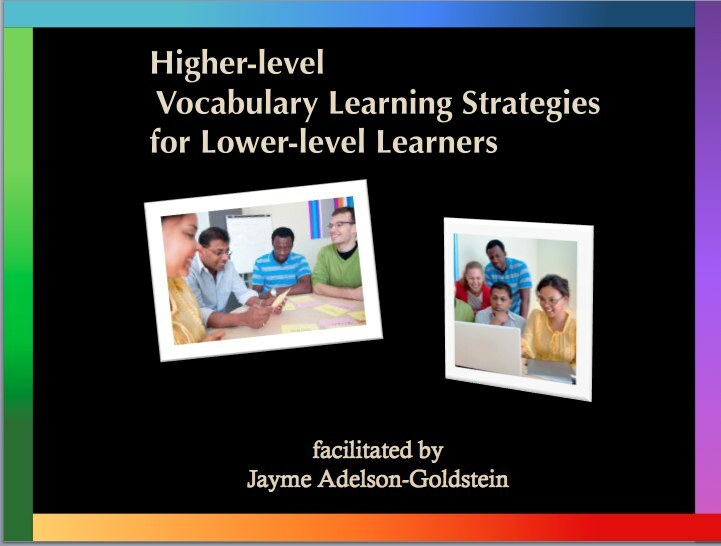 Academic Vocabulary & OPD - This resource includes a chart that provides one or more academic words (from the AWL sublists one or two) for each of the 168 essential, high-frequency, workplace and academic topics in the OPD. Definitions and collocations are provided along with strategies for teaching academic words. Problem Solving & OPD - This collection of problem scenarios has problem solving worksheet templates and outlines the problem solving technique. Teamwork & OPD - This resource provides sample team tasks and templates for team tasks as well as checklists, a role chart, and a teamwork rubric to help you and your learners manage teamwork tasks effectively. Do-Say Charts & OPD - This collection of Do-Say charts provides the behavior and language associated with 18 soft skills, including managing time, making suggestions, and demonstrating a willingness to learn. Step-by-step instruction in using the Do-Say charts is include. An Occupational Index to the OPD - This list of all the occupations depicted in the OPD (not only those with a word list entry) may be useful when working on career exploration. In an effort to reduce the amount of paper used for handouts that may or may not have a life outside the workshop, I have been using Wiki spaces to collect materials and presentations associated with my most frequent workshop topics. The link to each of these is listed below. 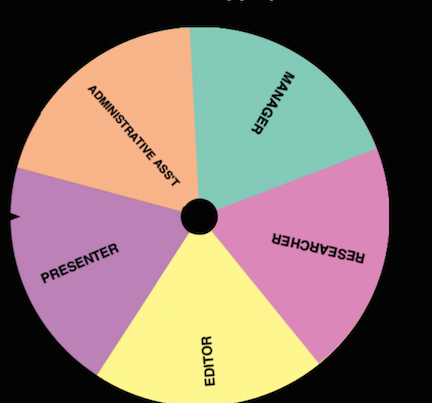 This wheel with "spinner" sound effects creates a little suspense during activities where you want to call on a group or individual and helps create random selections of roles and responsibilities in a team. E.g. Let's see...who will be the reporter for the group. (SPIN) Ah--okay #1s you're the reporter. OR Let's see, what will the #3's do? (SPIN-comes up researcher) Okay! #3's you will be the team researcher! ...and you can change the colors, which is a feature that I typically obsess over. The humble exit ticket packs a powerful punch. Learners write their lesson "take away," question, or comment on a sticky note (aka PostItTM) and put it on a classroom door or wall as they leave for break or at the end of class. 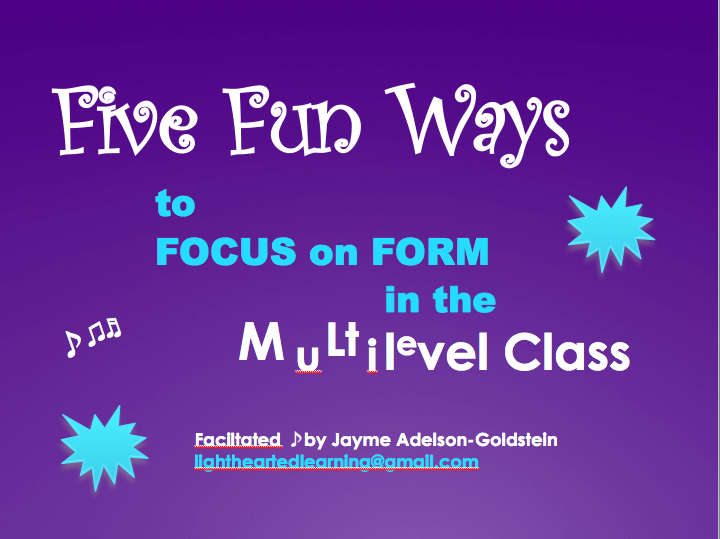 After a week of workshops in Florida, I am taking away very specific information about what participants in my workshops want to use in their own classrooms. This is much more useful to me than evaluation comments of "Loved the activities" or "Lots of good ideas" (which I still greatly appreciate!) An esteemed colleague of mine, Dave Coleman, uses a poster board divided into questions, comments, and concerns. This asks learners/participants to categorize their exit tickets, and shows the instructor/facilitator (at a glance) whether there are more questions than concerns, more concerns than comments, etc. 3) complete the sentence: I can ______now. 4) complete the sentence: I want to learn more about__________. 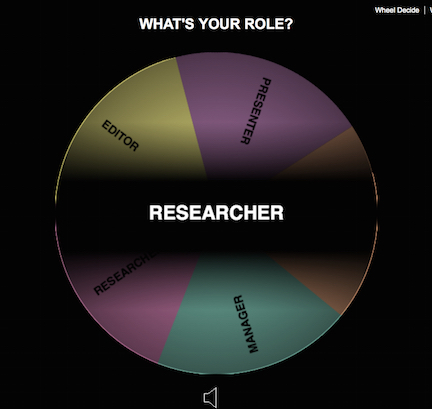 5) indicate their interest in various roles, topics, tasks or projects. These are the materials from Lori Howard's and my CATESOL session on the Paired Reading technique. Click on the links below to download the materials from the session. 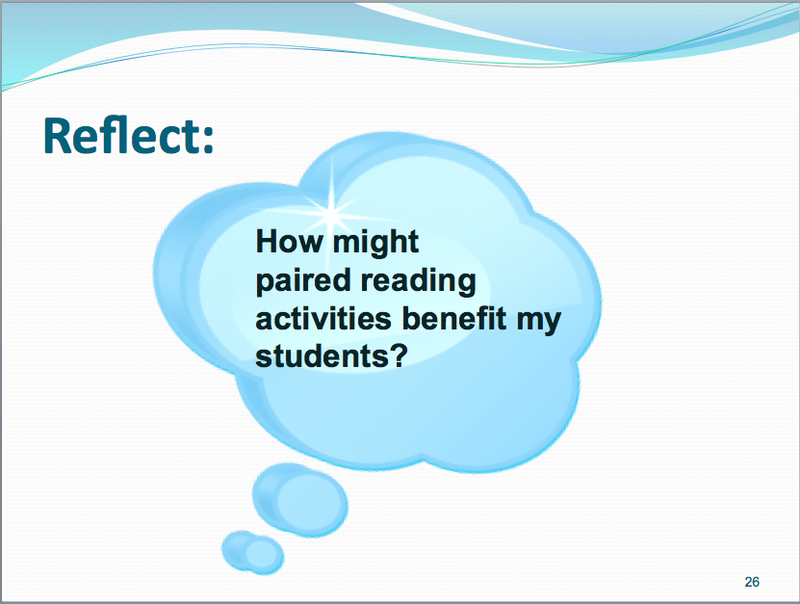 *NOTE: Beginners can participate in paired reading lessons, but the materials need to be level appropriate. The wiki link above offers some Beginning Level materials for paired reading, however the workshop materials above were geared towards intermediate learners. Questions are one of our most important instructional tools. 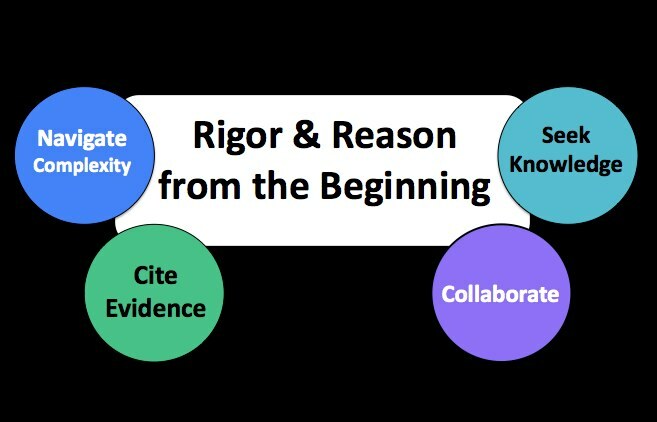 Whether we're asking questions to ascertain our learners' prior knowledge, check their comprehension of new content, or deepen their connection with the ideas in the lesson -- the questions we ask play a very important role in helping our learners achieve the lesson objective. 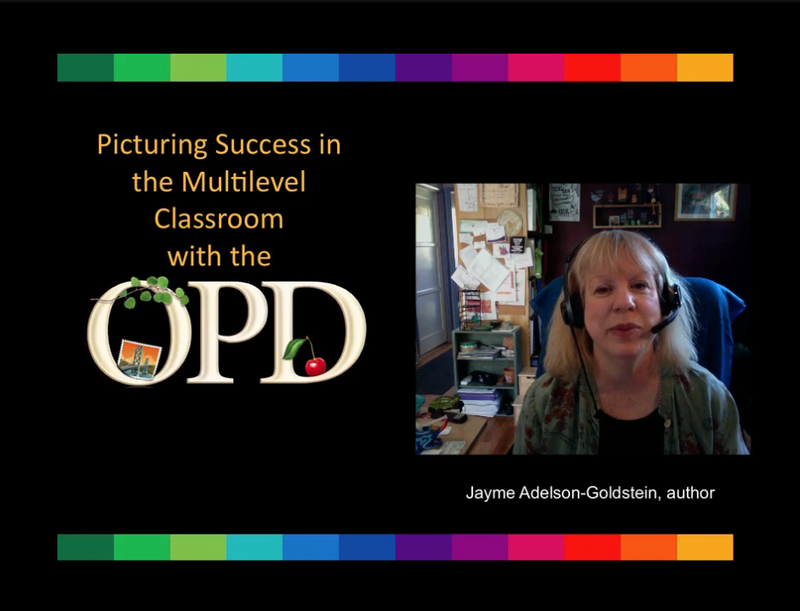 Sometimes, in a multilevel class--the more proficient or more verbal learners can dominate a question and answer session. By the same token, less proficient or less-confident learners may not be willing to risk a response. Answer cards to the rescue! 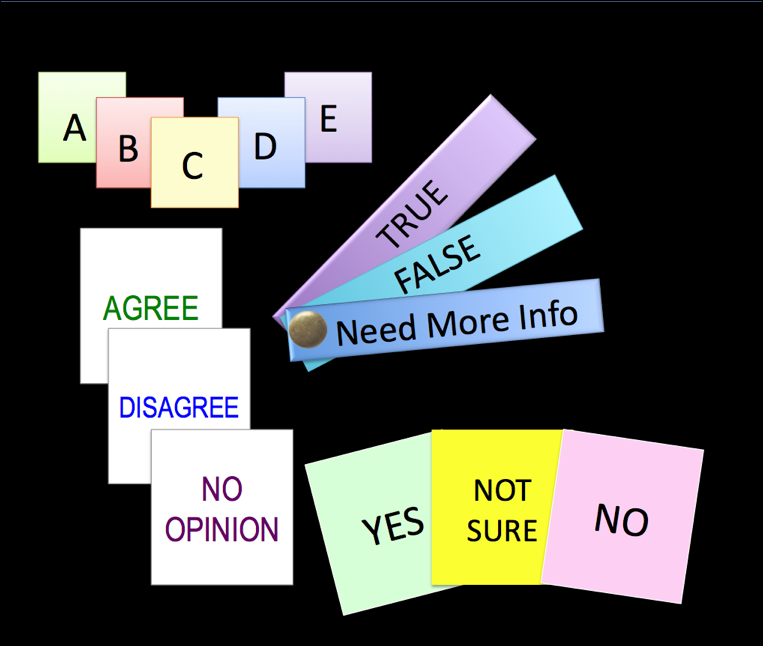 By giving learners one or more sets of answer cards (see illustration at right) all learners can respond to your initial questions with less trepidation, and it is easier to manage the dominator(s) in the group. 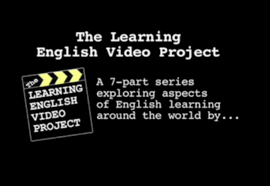 Watch the 5-minute presentation below to see how answer cards can be used to build community, assess prior knowledge and needs, check learners’ comprehension and engage all learners. AnswerCardsPres from Jayme Adelson-Goldstein on Vimeo. 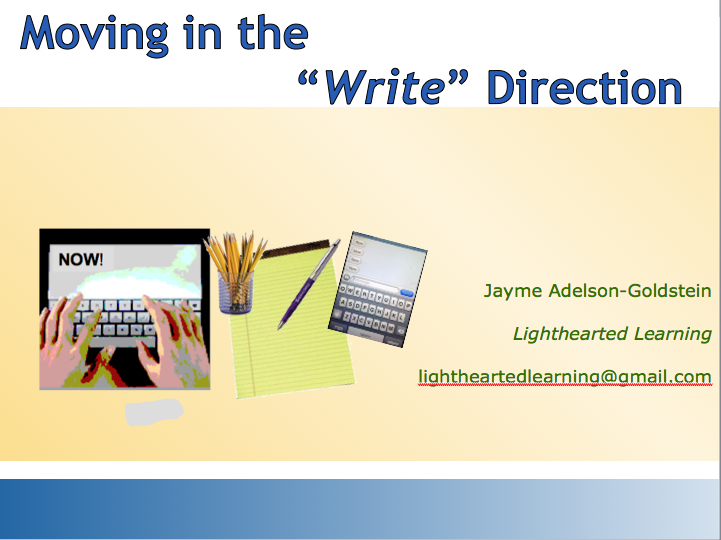 The three sets of links below provide the presentations (ppts) and handouts (pdfs) for my three sessions at ACE of Florida's 2013 Conference: Changing Lives Through Adult Education. These are the materials from Radmila Popovic's and my TESOL session "Real Solutions to Virtual Challenges in Online Teacher Education. 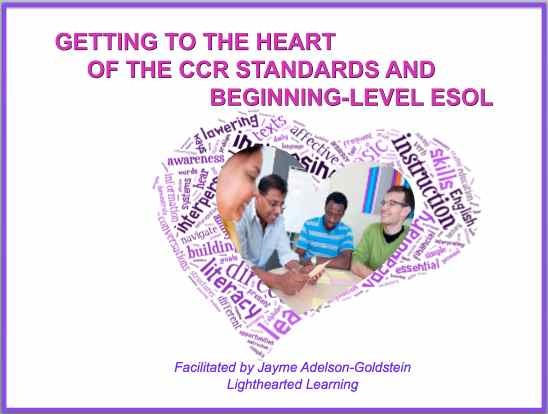 Click on the links below to download the materials from the session. Click here for this month's Oh! P.D.! offering. 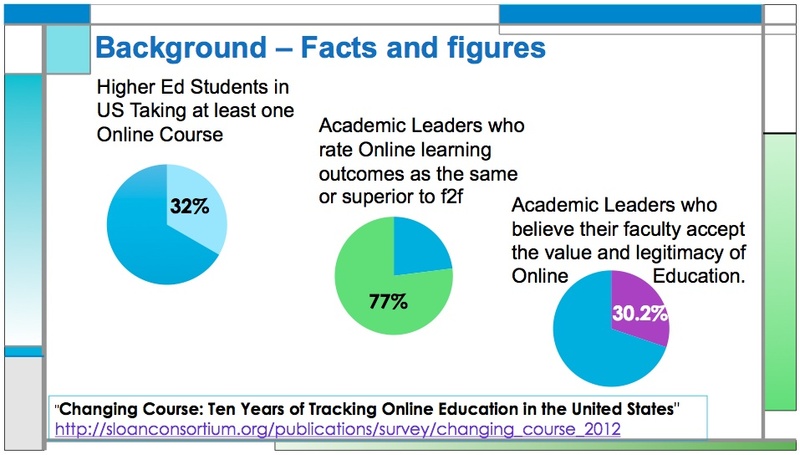 Can you spare 10-minutes for some self-directed professional development? I thought you could.